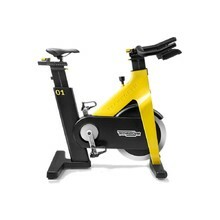 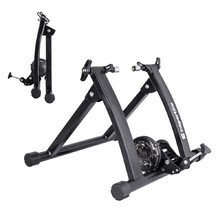 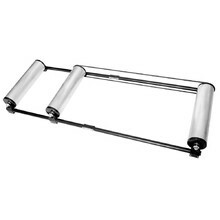 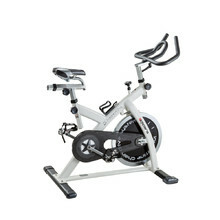 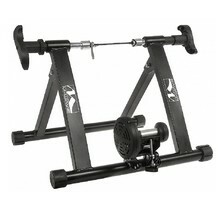 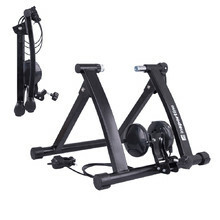 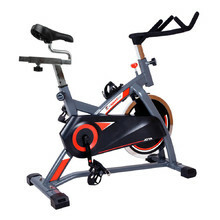 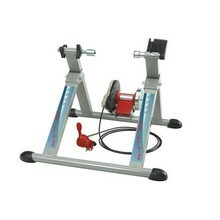 Spinning bike is an excellent fitness device that’s often used by cyclists in preparation. 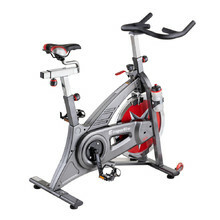 In comparison to exercise bikes, spinning bikes have more precise resistance regulation and they simulate cycling more accurately. 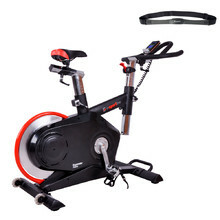 That’s why these devices are ideal for keeping fit and endurance training. 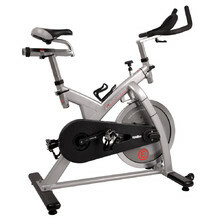 We offer a wide selection of spinning bikes, from basic models for home use to professional devices suitable for fitness centres, gyms or professional athletes. 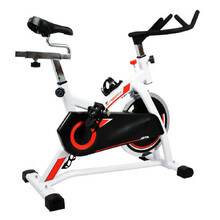 The most important thing is to choose a spinning bike with the correct size and settings. 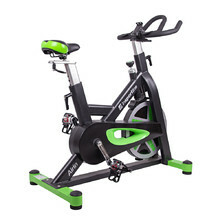 While selecting a device, make sure to note what the maximum user height is, whether the saddle is both vertically and horizontally adjustable, and of course the weight limit. 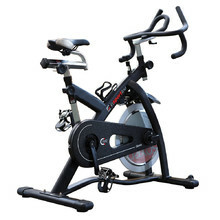 Another important attribute of the spinning bike is the pedalling system, which usually doesn’t include a flywheel. 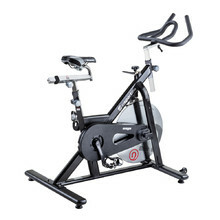 What is a Spinning Bike? 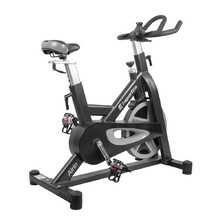 Why Exercise on a Spinning Bike? 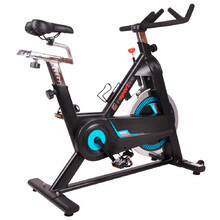 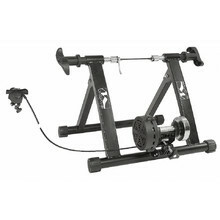 How to Choose a Spinning Bike?